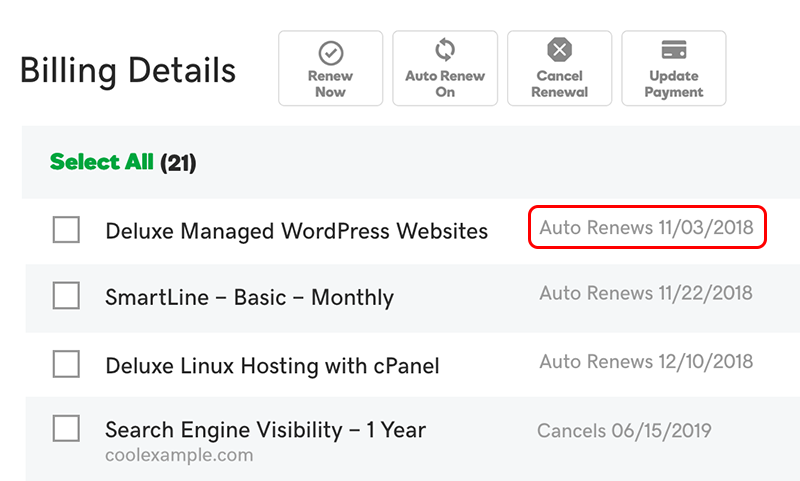 Many GoDaddy products and services are set to auto-renew by default when you purchase them. Here's how to check. Click Renewals & Billing. The Billing Details list shows when each product is set to auto-renew. If a product isn't set to auto-renew, the list shows the date when that product subscription will be cancelled. 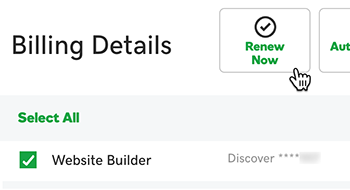 Note: If you'd like to check the price, click the check box next to the product name to select it, and then click Renew Now. We'll show you the price for your products in the Shopping Cart, but we won't complete that purchase here unless you say so. 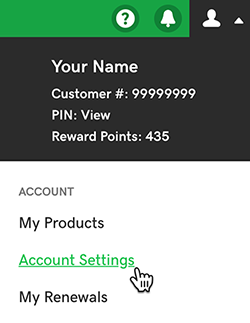 You can turn off auto-renew at any time for most products. You can delete a product from your account.